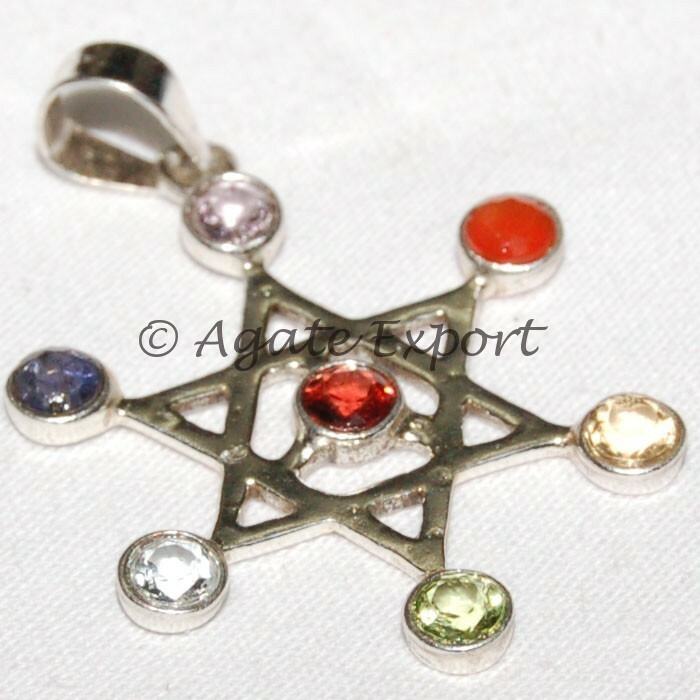 This beautiful pendant is pentagram shaped and its each corner plus the centre have a gemstone representing seven chakras on the human body. Each stone connects us to five elements â€“ earth, air, fire, sky and water. This unique piece is available on Agate Export. Weight of Pentagram Chakra Silver Pendant is between 4-10gm.